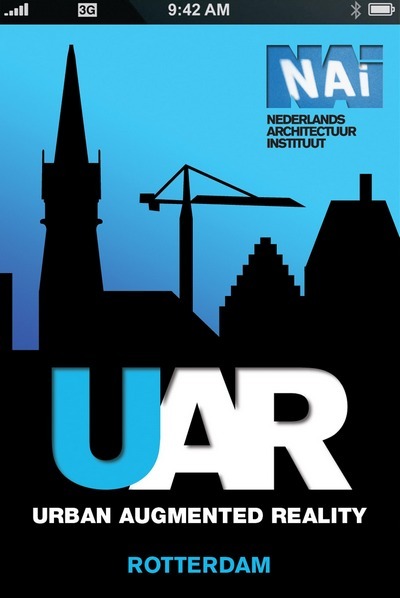 The NAi launches their Urban Augmented Reality application: UAR. This app turns the NAi museum inside out and makes you see beyond reality! DPI Animation House partners up with the NAi to create the 3D portion of this app. The augmented reality enhances your view on the urban environment. UAR shows invisible layers of your city: buildings which haven’t been built yet, buildings from the past and buildings which have never been built. You can see information about the buildings and the architects, view drawings, photo’s and artist impressions. On top of all that, many buildings can be viewed in 3D. And that’s the big kick. The app shows you architectural visions of the past and the future in 3d, straight on your smartphone. The NAi has partnered up with DPI Animation House to create all 3D content. The app is based on the Layar-browser and designed and developed by the NAi together with Triangle studios and in10 communication. This first release boasts 350 items in Rotterdam of which 50 also have a 3D model. Later this year Amsterdam, The Hague and Utrecht are planned for a release. Also planned are a crowdsourcing element where users can upload their own 3D content. All 3D work will be supported by DPI Animation House. I’ve been lucky enough to work as the project leader at DPI for this project, being responsible for inhouse modeling, quality control and offering support to architects and other suppliers of 3D models. The task of guaranteeing constant quality on this new platform has been a great challenge. Usually DPI can create architectural visuals with “unlimited” recources. Now we need to create a true architectural vision while factoring in the tiny platform on smartphones. I think we’ve succeeded and I’m looking forward to working on the next cities together with our partners!